Ms. Shalini Gambhir, a CSR consultant and an alumnus of Delhi University and Delhi School of Economics volunteered her time and efforts in contributing towards GYAN an acronym for Get Your Answers Now. GYAN is an initiative of iVolunteer that offers Volunteer led capacity building workshops for the Non Profit sector. I am fortunate enough to be a part of both the corporate and social sector through the two caps I don. As the Head Community Services at NGO Bangalore Medical Services Trust, I design and head implementation of community outreach programs for youth, community members and workplace populations related to Life Skills, Gender, Gender Based Violence, Alcohol Abuse, Sexual & Reproductive Health and HIV/AIDS. 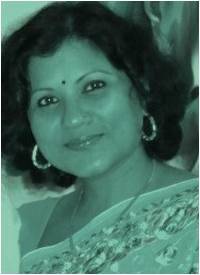 As a CSR Consultant to Weir India I have designed their strategic CSR initiatives using the participatory approach. I also facilitate the implementation of their social responsibility initiatives in India. Straddling both sectors has helped me use my subject matter expertise to share best practices with both the sector. What is your take on volunteering in the development sector? I think volunteering is a great motivational factor which is recognized the world over. It can be used as an effective tool for employee engagement and motivation in the corporate sector. It is an opportunity to do something beyond small charitable deeds such as making a donation in the temple, or, donating old clothes. I learnt about GYAN through word of mouth. A friend of mine through my professional network referred me to GYAN. What motivated me to volunteer is that I wanted to find the time to share my knowledge of social sector with others who are working towards developmental goals. I had previously been approached by other NGOs to conduct sessions but couldn’t find the time for the same. So when you contacted me for the GYAN Session, it was a tipping point for me and I knew I had to make time for this. What was your overall experience of taking the GYAN session? It was a fulfilling experience for me. Apart from sharing what I could share I also learnt from the participants. It enabled me to know what others were doing in the social sector. Ours is not a cut-throat sector where people compete with each other. We all are working towards a similar goal and all our efforts add up in achieving it. Hence learning and sharing with each other becomes vital. As a working professional in the social sector how do you perceive the GYAN approach to training? The small size of the group is good for interaction. The session was a nice mix of different sectors in the non-profit segment and it was better represented than the other sessions that I engage with. There were participants working towards disability, child rights and the like. The arrangement of the session was nice, neither was it too formal or informal which made the entire group feel like a whole. I didn’t feel myself apart from the group. Would you consider volunteering for a GYAN session again ? Would you recommend other volunteers or NGOs to GYAN? If so why? Yes, if you would like me to conduct another session, I would consider volunteering again. I would also recommend other volunteers and NGOs to take part in GYAN where they could share knowledge and learn from each other in a small group. Previous Post The other side of volunteering..